Environmental sustainability is a key aspect of ZACL’s sustainable development initiatives. The company strives to educate local communities about environmentally sustainable agricultural practices, promote awareness programmes in villages in and around the plant area and implement plantation campaigns..
Zuari is the first company in India to undertake a vegetative mapping exercise within its industrial campus. 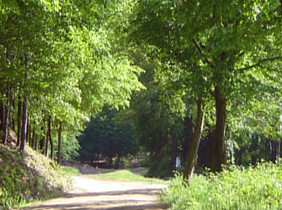 Eco-scientists and botanists use this technique to profile existing vegetation within an area by cataloguing trees and other vegetation. This vegetative mapping project was carried out in collaboration with the Botany department of Goa University. The head of the botany department Dr Torne formed a team of botanists and research students for the assignment. This exercise at the Zuarinagar estate was not only restricted to vegetation mapping but also covered classification of trees and conducting a tree census. The study also dealt with existence of a number of exotic species, medicinal plants, flora and fauna. The results revealed that there are over 100 species of trees and ground fauna with over 80 species of birds on the campus. The fact that this garden exists on what was once, a barren rocky land, makes this success story even more astonishing. The lush industrial garden of Zuarinagar is home to a variety of trees and is even home to the real Ashoka tree – Saraca Indica. This tree is incredibly rare, only one other tree of its kind remains in Goa. Zuari planted a number of endangered trees on the Western coastline including soap nut, dhobi nut and gunj. The green vegetative cover at the Zuarinagar spreads over a thousand acres with more than 200, 000 trees. Zuari has even roped in nearby villagers encouraging them to plant trees of practical use to them such as fruit trees like coconut or mango. Due to a booming tourism industry, there is a huge demand for flowers in Goa especially from the hotel industry in Goa. Every year the state imports flowers worth Rs four crores to meet this demand. High-tech flower growing in Goa is not common. 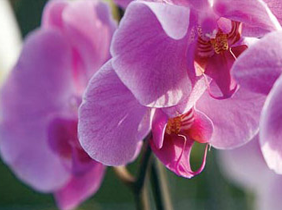 However, the climatic conditions in Goa are ideal for the growth of Orchids. It is due to these ideal conditions, combined with the demand for flowers that Zuari seeks to encourage farmers to take up orchid cultivation in coastal areas. In order to evoke interest amongst farmers for growing Orchids, Zuari established a demonstration unit at its complex. The role of this unit is to explain how to utilise modern technology for growing orchids. 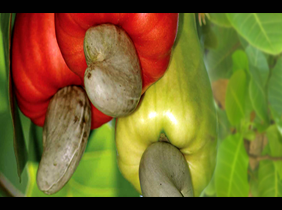 Cashew is one of Goa’s most important horticultural crops. The crop is grown over 55000 hectares. It is only recently that cashew growing in Goa has come into the limelight as a cash crop. Though cultivation of cashew in Goa can be traced back to the Portuguese, for many years the crop was not grown commercially. Originally, a local variety of cashew was grown in Goa and the use of high yielding varieties of the crop was unknown to local farmers. The local variety of cashew used to give an average yield of 1.5 kg per tree, while a high yielding variety could have easily produced 12 to 15kg per tree. In order to boost crop yield, Zuari undertook a familiarization program for high yielding cashew varieties amongst farmers. This helped spread awareness about the various types of grafts of cashew that were available for commercial cultivation. Zuari even procured 3000 high yield cashew grafts including the Vengurla-1 and Vengurla-4 from research stations in neighbouring states, distributing them to progressive farmers at subsidized rates. This was because cashew yields in neighbouring states were three times higher. After the pioneering steps that Zuari undertook to promote the use of cashew grafts, the Directorate of Agriculture established a special scheme for cashew area expansion. This lead to the use of cashew grafts becoming a common feature amongst farmers in Goa. Recently the Indian Council of Agricultural Research at Old Goa identified some elite local selections of cashew, which have potential for high yield raw nuts as well as apples. These apples are useful for the distillation of liquor and fetch a high price. 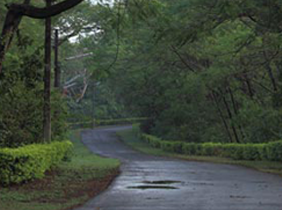 Zuari has established a demonstration of these elite trees at the Zuarinagar estate. Farmers can see first hand, the performance at the site and can adopt these varieties in their farm. Zuari Agro Chemicals Limited was the first company to establish a zero effluent plant in the country. The success behind this is the fact that the plant has implemented a carefully planned system of segregating effluent, and recycling and reusing all wastewater that the plant generates. This cycle ensures that no wastewater is discharged that may damage the surrounding environment. When initially conceived, the plant required five million gallons of water for its daily operations. The water was released into the ocean after being treated to ensure that it would not harm the marine life. Wastewater at the Zuari plant was generated by a number of activities including pollutants from the cooling water used for the barometric condenser, process condensate, and discharge from the Ammonia plant, wastewater from the NPK A plant and effluent water from the utilities plants. All Zuari plants also discharged effluent water generated from domestic consumption and during washing. Zuari management realised the potential problem that effluent water generation posed. The management established a number of measures to negate the discharge of effluent water from the plant. Under the new system, wastewater generated due to a process in the plant is recycled, within the individual process and reintroduced for use. A hydrolyser stripper is used in the ammonia plant, allowing all condensate from the plant to be stripped and the water used in the treatment plant while the gases are utilised in the NPK plant. Wastewater from the plants is segregated, recycled and reused. Sewage water from the plant is also recycled. The company even undertakes de-oiling and filtration of streams and the neutralization of amoniacal nitrogen streams and reuse. It is due to the implementation of these measures that today; Zuari no longer discharges any wastewater into the sea. 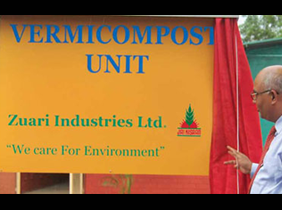 As part of its ongoing CSR initiatives, Zuari Agro Chemicals Limited has launched Project Uday - An ambitious drive which is actively bringing together environment conscious minds to turn biodegradable waste disposed from canteens, offices and households in the Zuari Township in Goa to valuable Vermicompost. This organic manure (bio-fertilizer) produced as the vermicast by earthworm feeding on biological waste material and plant residues. Vermicompost is eco-friendly, non-toxic, consumes low energy input for composting and is a recycled biological product. It is odorless, clean, organic material, containing adequate quantities of N, P, K and several micronutrients making it a preferred nutrient for organic farming.